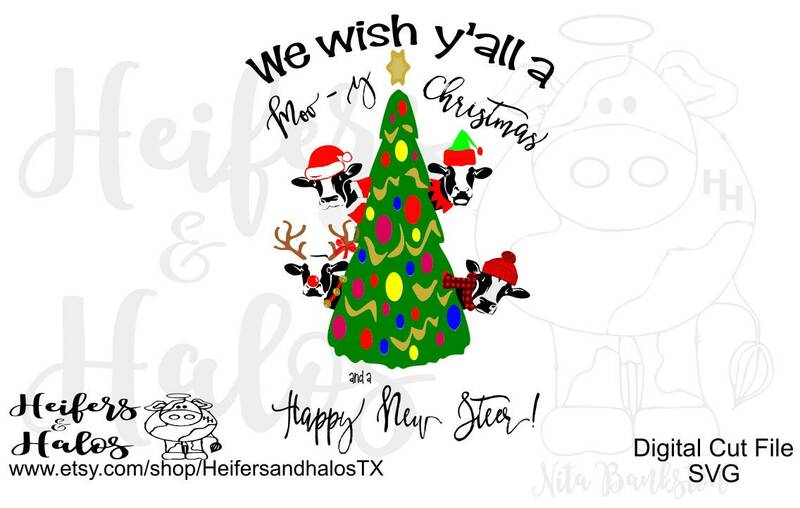 We Wish Y'all a Moo-y Christmas and a Happy New Steer! Four happy cows yelling out their Christmas Cheer. This is a one-of-a-kind, Heifers and Halos Original. Can be used for stationery, vinyl, sublimation, and more!